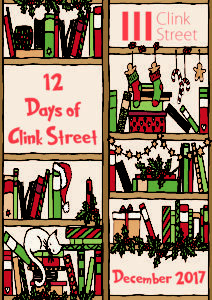 I’m really pleased to be taking part in various posts as part of 12 Days of Clink Street and this is one of those posts. Thank you to Rachel Gilbey from Authoright for the place on the tour. Alice Graysharp is the author of The Keeping of Secrets and she has very kindly answered my questions which you will find below. But first shall we see what the book is about? And if it sounds like a book for you then it’s available from Amazon UK and Barnes & Noble. 1. I understand that the inspiration for The Keeping of Secrets came from your mother, when you realised that her stories were in danger of being lost if you didn’t record them. In the course of doing so did you find out anything that you didn’t already know? My mother’s reminiscences over the years had been extensive but episodic, not chronological, as reminiscences tend to be. While I didn’t learn anything new in itself, when she dictated the story of her evacuation what I did learn was the order of events which subsequently helped in constructing a time line for the novel. 2. Can you tell us more about the setting of your book? How important to you is a sense of place in your writing? The book starts off in Brixton and follows Pat to evacuation in Leatherhead and also features Doncaster, Lowercroft Army Camp near Bury, Frinton-on-Sea, and, very briefly, Dorking, with a couple of passing mentions of Guildford. 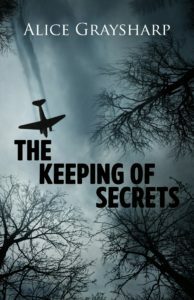 As The Keeping of Secrets is an historical novel it is very important to me to be as historically and geographically accurate as possible. 3. You have quite a quote from The Lady on your cover: “Will appeal to fans of Atonement”. Have you read Atonement and if so, do you agree that your novel is similar? Or do you think it is more like another book? I saw the film Atonement a few years ago but didn’t read the book until after The Lady’s review. I was not consciously echoing it, but I am fascinated by the idea that one thoughtless action, one decision, can set off a chain of events leading to outcomes not understood or necessarily intended at the time. Both have themes of impulsive action, guilt and regret. 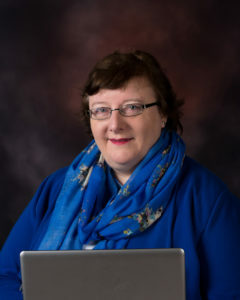 In style both have detailed descriptions that bring the reader into the scene, but on the whole I move my story on with a greater proportion as dialogue. While I’m flattered by the analogy, I didn’t set out to write in a particular way, or echo any particular book. I had a story to tell and I’ve tried to tell it in a way that reflects my own style and approach. I do a lot of reading around the subject and I look up various queries on the internet, making contact with some kind and helpful people, including someone in Australia who remembered Lowercroft Army Camp from his boyhood! I also like to visit the places in my novels to envisage my characters there and to ensure that my description of the locality and its buildings are as accurate as possible. At Doncaster my hotel bedroom overlooked the floodlit parish church featured in The Keeping of Secrets and when I stood on the sea wall above the long beach at Frinton-on-Sea I made sense of the lie of the land and could picture the plane coming in from the sea. Seeing a partly dismantled hurricane at the RAF museum at Hendon and a V1 at the RAF Museum at Cosford helped me put together descriptions of these and imagine my characters’ thoughts about them. I do a lot of my research alongside my writing rather than the research first and then the writing. I have an overall idea for the storyline at the outset but sometimes let the story veer off in a different direction if by doing so it is more true to the character or the situation depicted. Also, I write episodically, so I might write a later part at an earlier stage, it often depends on what’s whirring away in my mind at the time. I’d have loved to have been an archivist. I find historical documents fascinating. I fit the writing in around my part time office job and other commitments, usually at the end of the dining room table at home! However, the larger part of The Keeping of Secrets was written in hotel bedrooms where I holed myself up for twenty-two hours over a Saturday night (and sleeping four of them!). I read voraciously and go to the library regularly. I love historical novels such as the Sharpe and The Last Kingdom series by Bernard Cornwell and the Outlander series by Diana Gabaldon, and every few years I re-read the Angelique series by Serganne Golon. I also enjoy thrillers, my favourites are the Nick Stone series by Andy McNab and the Danny Black series by Chris Ryan. And I adore science fiction – I’m currently working my way through a set of Dr Who Ninth Doctor and Rose books. I’m never bored; even sitting in a traffic queue I’m composing dialogue or narratives in my head for a scene in one of my books. I can be quite emotional as I’m writing my book, which is probably why it’s a good thing I do a lot of my writing holed up on my own in a hotel room – I can laugh or cry with my characters without disturbing anyone! I’ve started on what I call the interquel to The Keeping of Secrets as it covers the years in between the last chapter and the epilogue. Its working title is The Revealing of Secrets and we meet Pat again at her 25th Wedding Anniversary party where the overhearing of a secret has lifelong consequences. Thank you, Alice for such full and interesting responses. 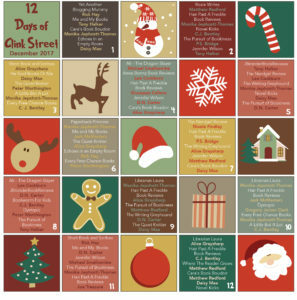 There’s lots to see on the 12 Days of Clink Street so why not check out some of them?